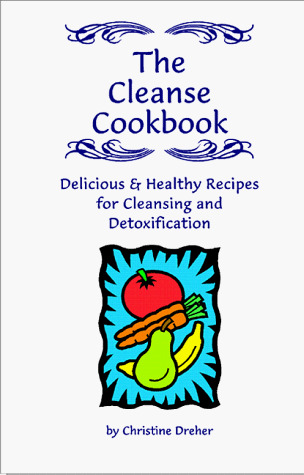 "The Cleanse Cookbook" by Christine Dreher CCN, CCH, is a one-of-a-kind cleanse resource guide. It provides a variety of delicious and creative cleanse recipes, as well as valuable information on vegetables, grains, organic food and natural seasonings. It also includes food preparation tips, information on the internal body cleansing process, importance of pH balance, pH testing methods and more. With "The Cleanse Cookbook," Christine Dreher has established herself as the Betty Crocker of the new millennium - a pioneer and driving force in the personal health and cleansing diet arena. The innovative and deliciously healthy recipes tempt the taste buds and reward the palate. Christine's friendly writing style and attention to detail make this book easy to use and a pleasure to read. It is evident Christine has put all the love and care she shows for the planet in her book.